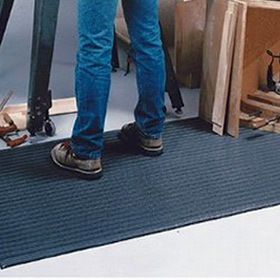 For a nominal service charge, we supply you with the finest mats available. You choose the mats you like and we rent them to you. We exchange them on a regular basis for fresh, professionally-cleaned replacement mats. Our service representative can help you determine exactly what your facility needs. He will consult you on type, colour, size and location of where the mats should be placed. You handle the compliments, we handle the problems. Proudly providing mat rental services in Dunnville, Haldimand County, Hamilton, Burlington, Oakville, Niagara, Brantford and surrounding regions.